This kitchen under cabinet 7w LED strip light in 4000k cool white is 230v mains operated. Bright, energy efficient and practical it’s designed to fit under kitchen cupboards to illuminate the worktop or as cabinet display lighting. White 395mm body with on/off switch and frosted curved diffuser containing non-replaceable cool white LED’s to illuminate your kitchen worktop with 570 lumens of cool white light. No driver required, simply wire into the mains supply. 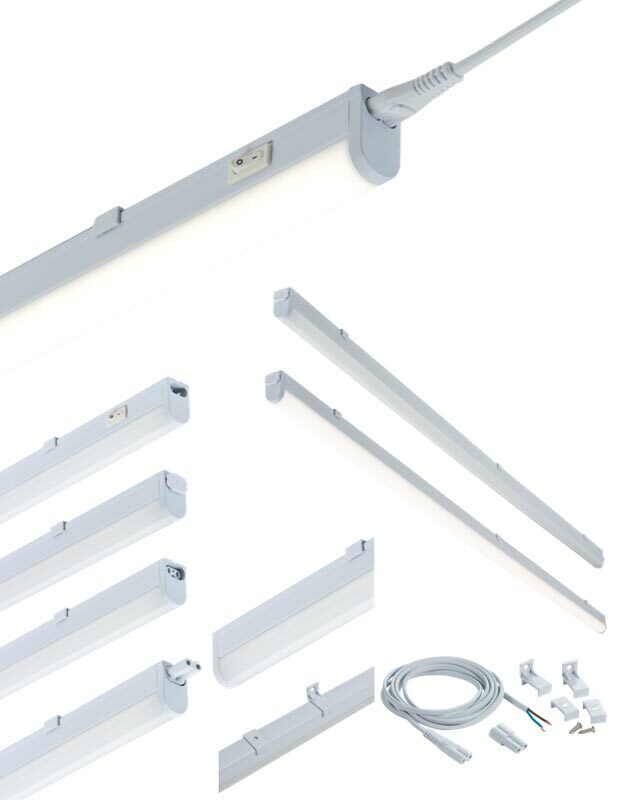 Can be connected with other fittings in this range and supplied with 2m power lead, mounting brackets and fixing screws. Please note that the LED lamps fitted in this product are non-replaceable. The unit should be recycled in the correct manner when it reaches the end of its life.